In a world full of choices, it's easy to be overwhelmed, so here at Greenlight Overhead Door we aim to make it easier to give you a full view of what we offer. From garage door brands you'll recognize to local technicians and service, we can do it all. We stand behind all of our work and provide the highest quality products at a fair pair. If you require further information you can browse through the products and services we offer, or if you already have something in mind and would like to schedule a garage door installation, please be sure to call (919) 744-9656 and our technicians will be glad to help you. We are proud to professionally sell, install, and service Amarr garage doors and more. Traditional, carriage, or modern, insulated or non-insulated, we have the perfect door for you. Call GreenLight Overhead Door to discuss new garage door options for your home. Our Chamberlain and LiftMaster garage door openers are available in belt, screw drive, chain drive or jackshaft models. 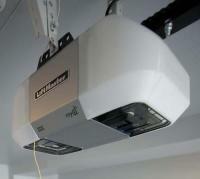 Call GreenLight Overhead Door and let us help find the perfect garage opener for you.